We stock our store on the last day of each month in preparation for our presale, sprinkling a few new items here and there throughout each month. Subscribers know that their store and kit add-on items will ship at no additional shipping charge with their kits. These are just a few of the products we added for August, with more on the way in our store. If you are like us, you've been waiting months for Shimelle's new line of products designed for American Crafts. The new reverse date roller stamp is a perfect addition for scrapbookers and PL artists. Yes, Shimelle came out with a set of 3 fine-tipped journaling pens in her favorite colors. The set includes one each of aqua, grey and a rosy pink. Have you ever wished that foam dots were just a little bit thinner? Then these new foam dots are for you! One of our favorite Handbook albums yet, this herringbone pattern album with a leather clasp is perfect for your mini album and PL projects. 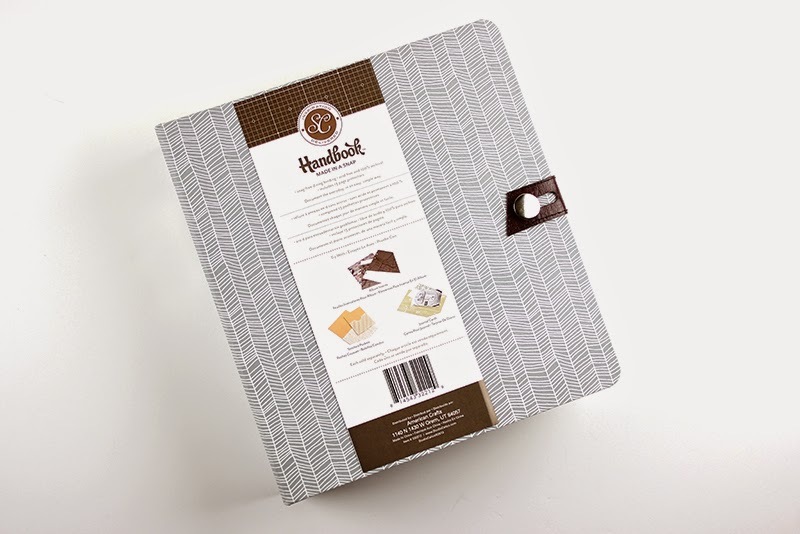 We love the soft grey printed fabric and clasp that set this Handbook album apart. This little 4" x 4" album stole our hearts here at Citrus Twist Kits. It comes with page inserts and you can stock up on more page inserts in the CTK store. Aqua and gold foil dots steal the show in this new 8.5" x 11" Albums Made Easy Album. Designed by Teresa Collins for WRMK, the size of this album is perfect and we are carrying new page inserts in different photo configurations in our store including one configuration featuring 2" x 2" pockets. The new Teresa Collins journaling cards are flying out of our store. This is a set of 3" x 4" and 4" x 6" journaling cards in lovely golds and aqua. These are just a few of the new items that we've added over the past week. Thanks for visiting the Citrus Twist Kits store. wow loving all the goodies..